We all need to do some form of work every day and for many of us, which involves working in an office environment. Since most of that work means we sit all day long, it can be a difficult thing to try and figure out how to add some exercise and healthy habits that will help us stay in shape and feeling good at both work and home. On top of combating a sedentary work routine, there’s also the reality of working around other people and being exposed to colds and other illnesses they may bring into our midst. 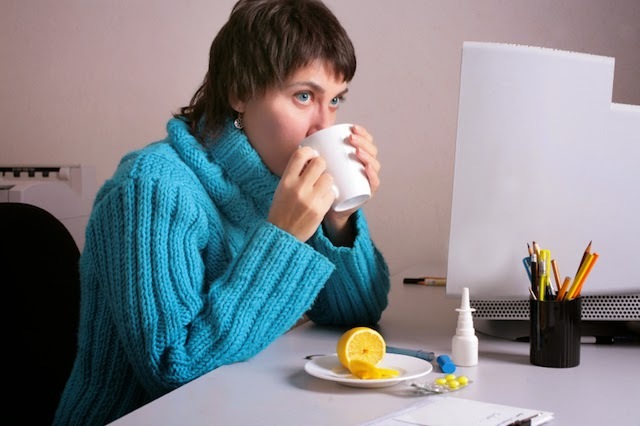 Fortunately, we found some great articles that show you how to combat the bad habits that can come from sitting all day at your desk and how to avoid getting that cold your coworker has. Check out all the great info in the articles below. Working in an office all day can make staying healthy a bit daunting at times, but this article posted on Webmd.com has some great tips to help you keep ahead of the game when it comes to staying healthy. From remembering to drink plenty of water, to taking a walk at lunch time, there are a lot of things you can do while you’re at work that will aid you in keeping your healthy goals on track. Making sure your desk, keyboard, phone and mouse are clean are also very important because they are great places for germs to hang around, so use those disinfectant wipes and keep your workspace clean. Get all of the great tips for a healthy work environment by reading the full article here. Just because you work and office job does not mean you can’t also stay healthy and in good shape. In this article byMargo Gladys for mindbodygreen.com, she gives us several ways to increase our physical activity and improve our health even though our day consists mostly of sitting at a desk. From switching out your office chair for an exercise ball, to avoiding phone calls and walking over to that coworker you need to speak to, there are all kinds of small ways you can add activity into your day when your work has you sitting at a desk. She’s also got some other great ways to make your work day healthier and you can get them all by reading the full article here. 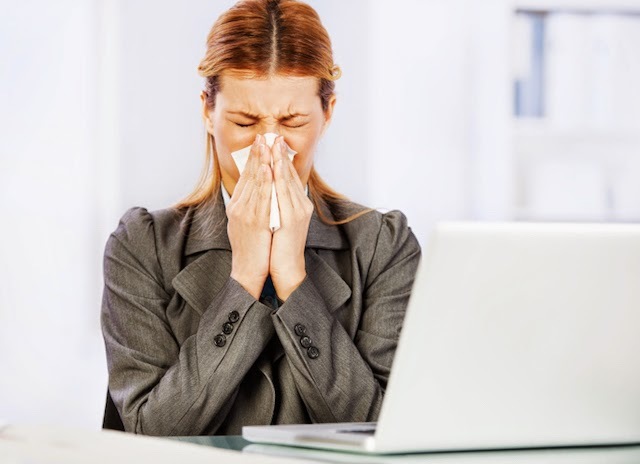 While working in a cubicle farm type of office space or even an open office space may make working as a team easier, it also makes the spreading of cold and flu germs easier too. In this article by Spencer Blackman for Entrepreneur.com, he gives us some easy ways to help stop the spread of germs and viruses in your office and help keep you healthy even when those around you may not be. From remembering to wash your hands, to keeping some of the antibacterial wipes around and using them on those items that get a lot of different hands touching them, there are plenty of ways for you to arm yourself when it comes to staying healthy. Get all of the great tips by reading the full article here.